The Mackay-Whitsunday Healthy Rivers to Reef Partnership has released the region’s latest waterway health scores. You can check out the results as published in the Daily Mercury. The latest waterway health scores for the Mackay-Whitsunday region have been released. Julie Boyd, Chair of the Mackay-Whitsunday Healthy Rivers to Reef Partnership, said while overall results were a mix of Bs, Cs and Ds, there was no doubt that waterway health was an A-grade issue. “We need continued improvement, action and funding when it comes to better water quality,” she said. Following Cyclone Debbie, the Whitsunday and Central (Mackay) inshore zones dropped in overall condition from a Moderate to Poor. This was driven by declines in water quality, coral and seagrass condition. “Of course, after Debbie we would expect our marine environment to have taken a hit and this is definitely the case,” Mrs Boyd said. Results are based on pre and post Debbie conditions, and include just three months of heavy rainfall conditions following the cyclone. The condition of our estuaries remained primarily Good, with seven of the eight key estuaries receiving an overall B grade. However, sediment and nutrients in our major river basins were Moderate to Poor. This is similar to previous years. Pesticides remain a priority issue for the Pioneer and the Plane basins and new monitoring has highlighted they are an issue in the Proserpine basin too. Mrs Boyd stressed this did not reflect a lack of action in these communities. She said it was important to fill monitoring gaps. 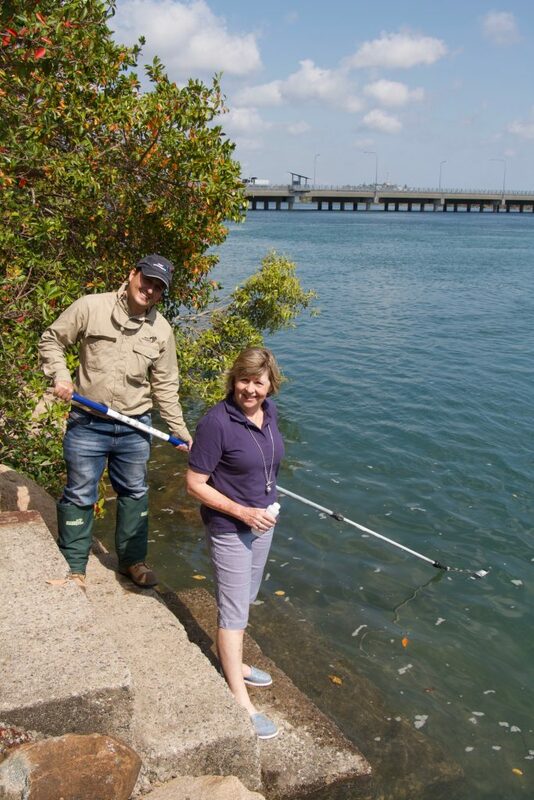 Mackay Mayor Greg Williamson said the local community was becoming more aware of waterway health. “This awareness is vital, it is the way forward to improvement. We love a water based lifestyle, involving everything from industry and agriculture, to fishing and recreation,” he said. Note: Results reflect the period from July 2016 – June 2017. Mackay-Whitsunday is one of a series of waterway health report cards now being produced in regional Queensland to complement the Great Barrier Reef wide report card. The Queensland and Australian Governments support report card development as an action under the Reef 2050 Long-Term Sustainability Plan.